Everybody's favorite scoundrel is back!!! 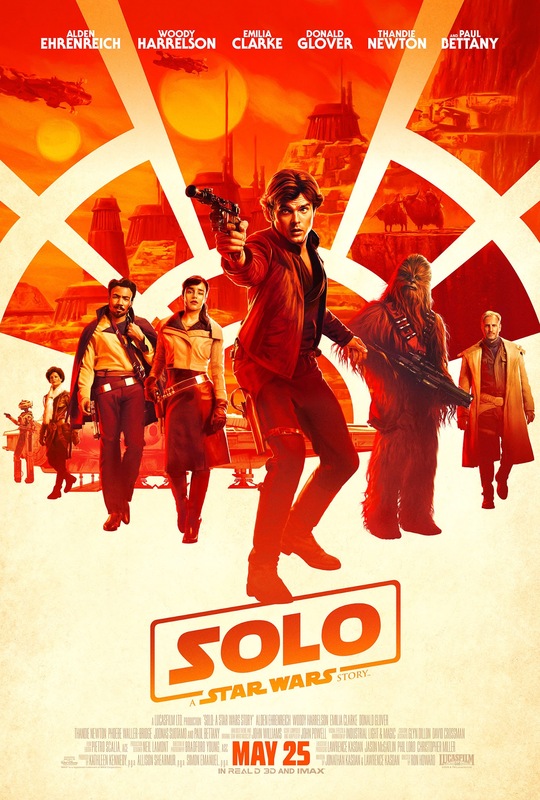 Disney recently released the first official trailer for the highly anticipated upcoming Han Solo prequel movie titled, "Solo: A Star Wars Story" which was directed by Ron Howard. This new movie covers the adventures of young Han Solo in the years prior to the events in the original 1977 'Star Wars' movie. 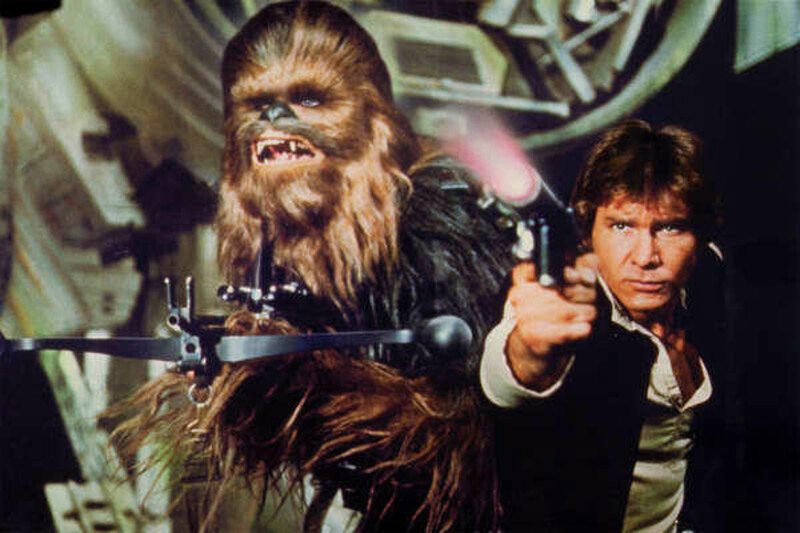 This includes how he met his co-pilot, Chewbacca, as well as the notorious gambler, Lando Calrissian. 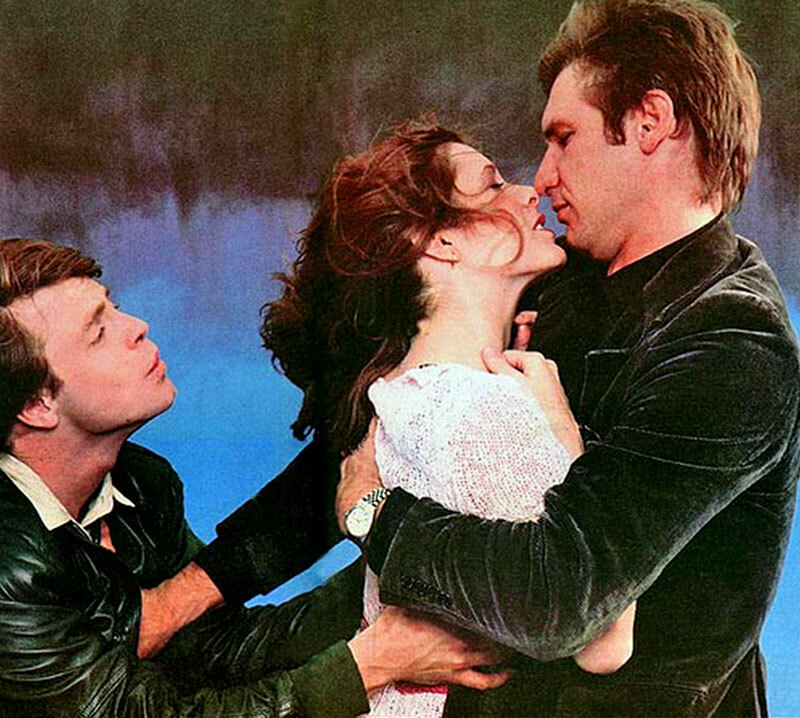 Alden Ehrenreich is playing Han Solo which was originally played by Harrison Ford. 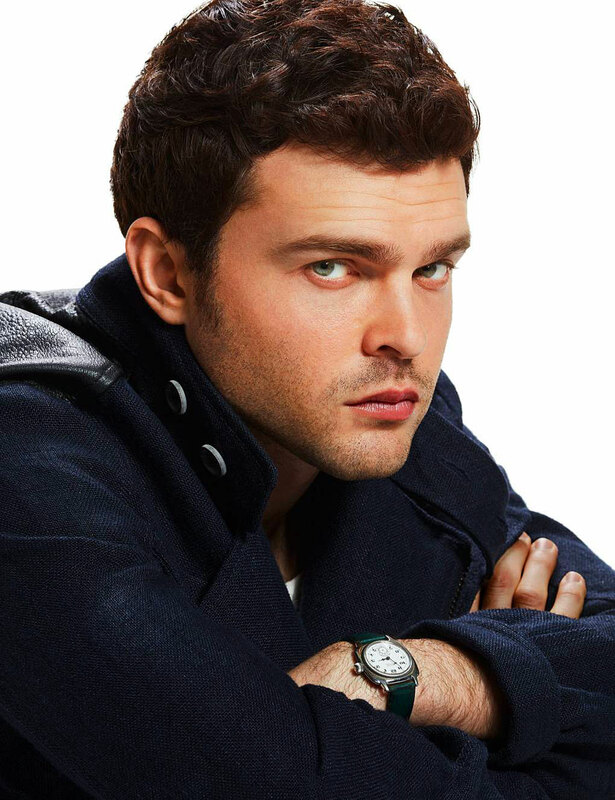 The image above of Alden Ehrenreich appears courtesy of British GQ, and in the photo below we see a close-up of the detail of his Rolex Oyster. 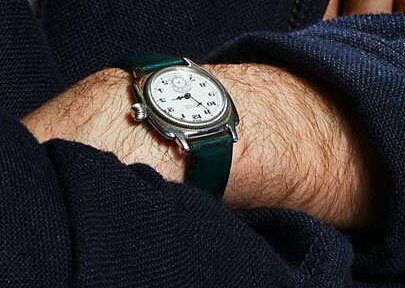 Alden Ehrenreich is pictured above wearing an early Rolex Oyster with a transitional case. 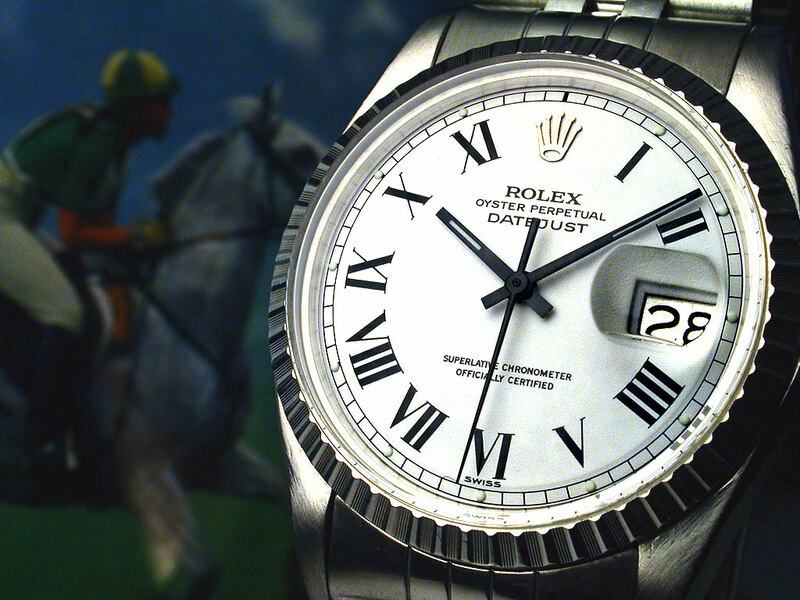 The photo below is of a very similar transitional 32MM Rolex Oyster model, which I am including for frame of reference. 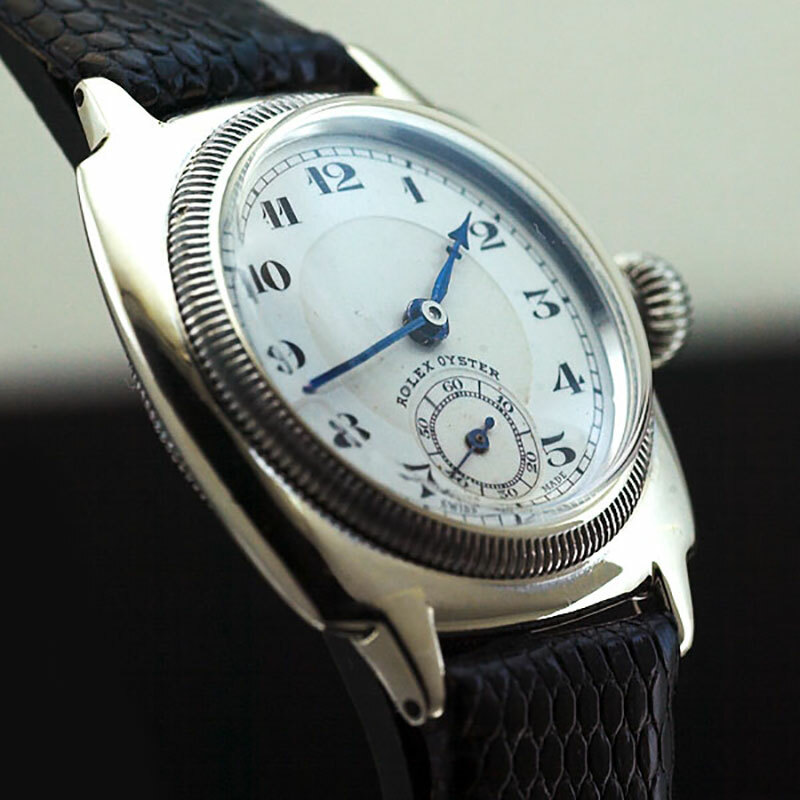 It features the same case, hands, winding crown, and dial. It appears his dial differs in the sense it says 'Rolex Oyster' below the 12 O'clock marker, with the words 'Ultra Prima' surrounding the top of the seconds subdial. What makes this watch 'transitional'? 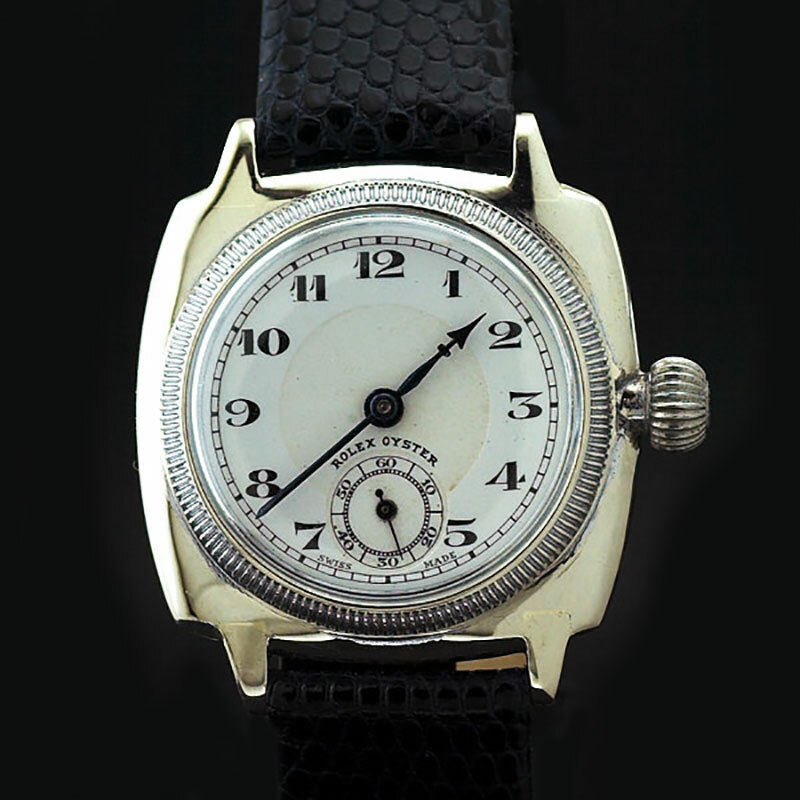 The first Rolex Oyster cases featured soldiered skinny lugs, and the transitional cushion case on this watch was the first one that soldiered thicker lugs that featured a spring bar. The next and final version of this cushion case came later and featured lugs that were machined as part of the case. 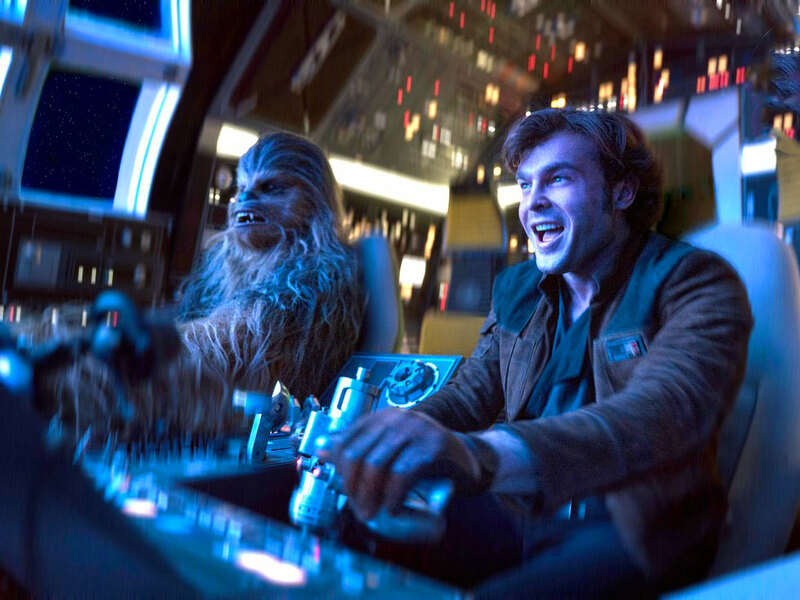 The new 'Solo: A Star Wars Story' will answer many questions, like how did Han Solo complete the Kessel run in the Millennium Falcon at less than twelve parsecs? 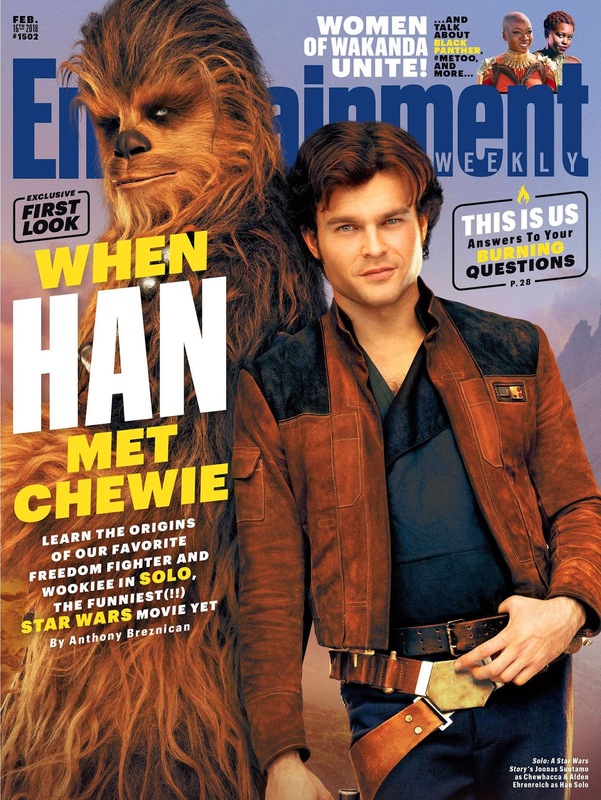 It will also cover how Han met his future copilot, Chewie, and Lando, as well as how he got indebted to the interstellar gangster, Jabba the Hutt. 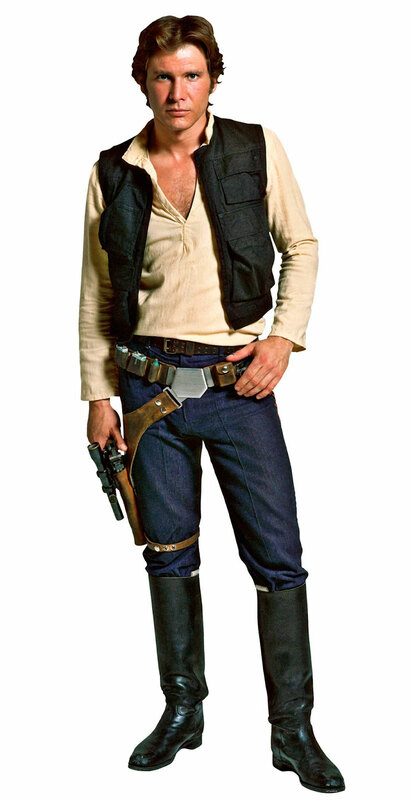 In the photo below, we see Alden Ehrenreich playing the role of Han Solo. The new 'Solo: A Star Wars Story' official teaser trailer, as well as the official movie trailer, are featured below, which I highly recommend watching. Solo: A Star Wars Story is scheduled to debut at the Cannes film festival on May 15th, and will be in theaters this summer around the world on May 25, which is Memorial Day in the United States. Solo: A Star Wars Story is the first in a series of upcoming Disney movies that are based upon the earlier history of Star Wars figures. Disney is also working on a Star Wars story movie about young Obi-Won Kenobi, as well as a movie about Boba Fett, which are scheduled to be released in 2019. 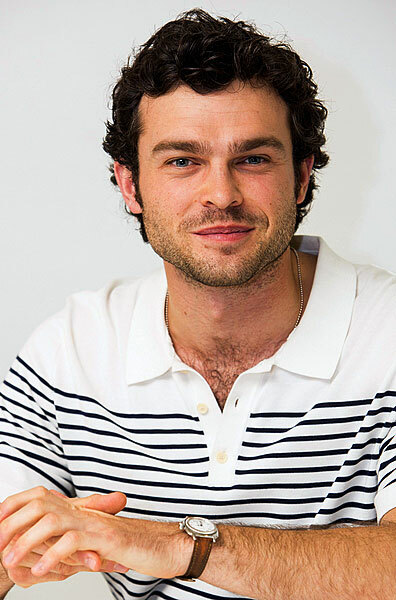 It is interesting to note that Alden Ehrenreich wears what I would consider to be a very small Rolex watch by today's standards, which is 32MM in diameter. In an interesting twist of fate, Ryan Gossling who costarred with Harrison Ford in the recently released Blade Runner 2049 also wears a smaller vintage Rolex which is a Rolex Air King, which is 34MM. 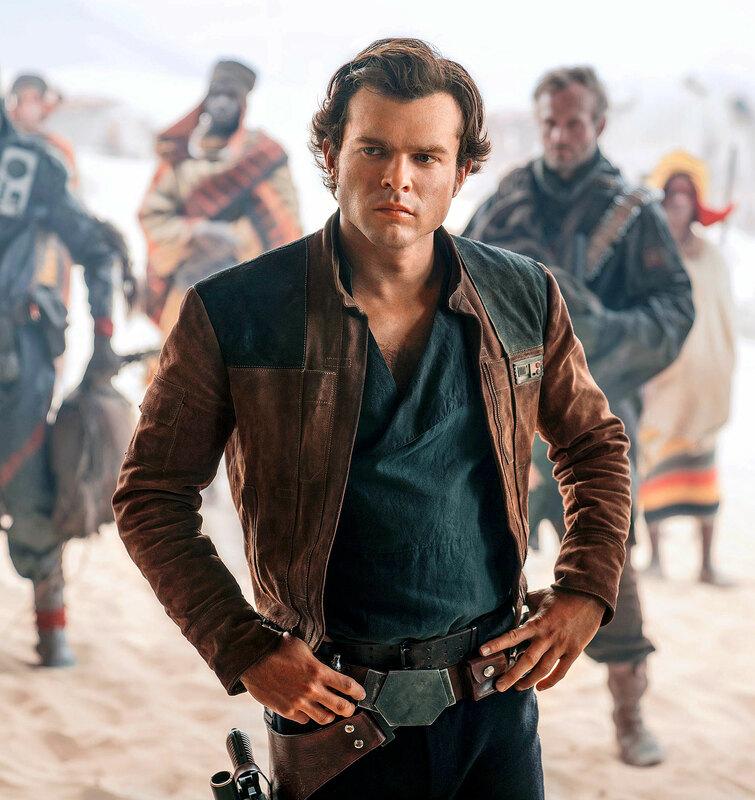 Alden Ehrenreich has big shoes to fill in following Harrison Ford in the role of Han Solo, and from what I have seen, he seems to be doing a great job. 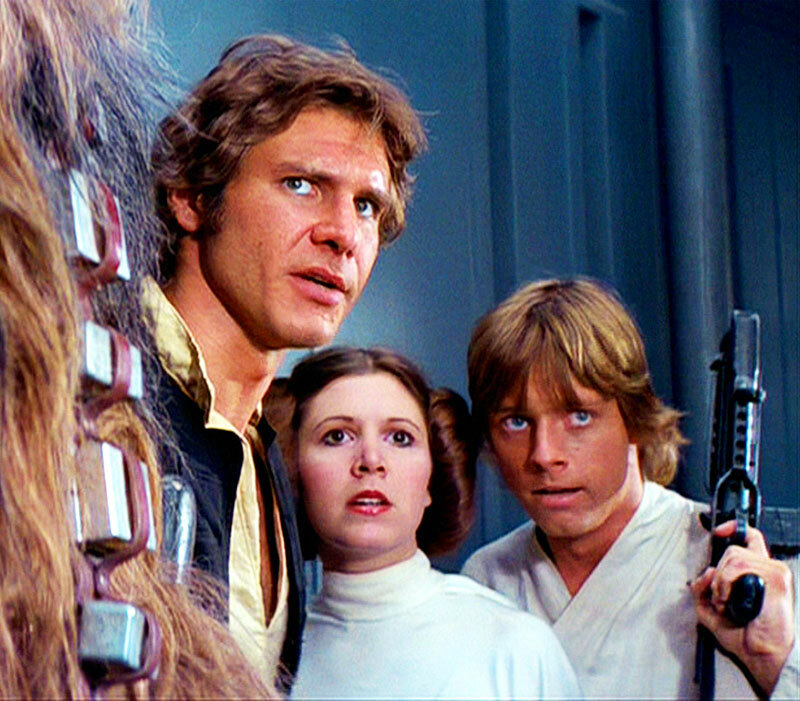 Harrison Ford's role as Han Solo in the original Star Wars movies is beyond iconic, and as we see in the picture below, he is holding Carie Fisher in his arms, off-set, while he is wearing his stainless steel Rolex Datejust. 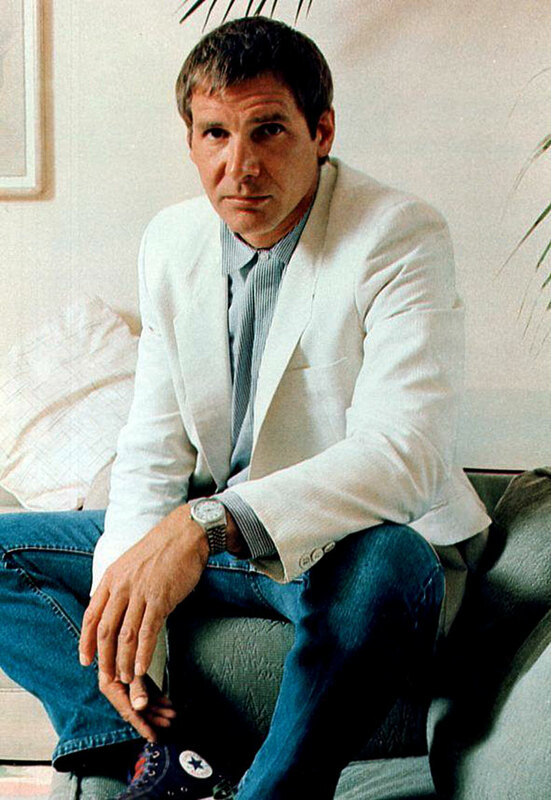 In the photo below we see Harrison Ford's wearing his stainless steel Rolex Datejust off-set when he was filming the original Blade Runner movie. 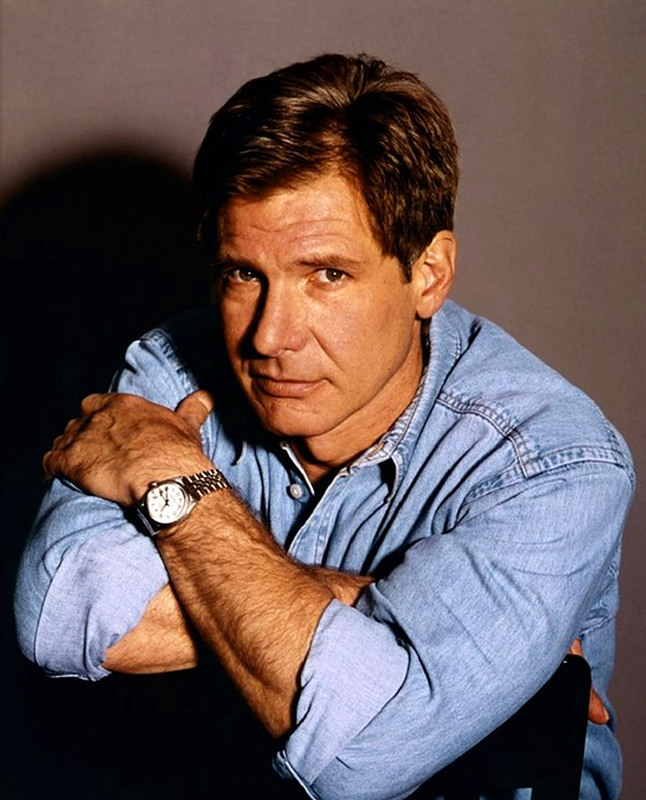 It's profoundly ironic that both men who play Han Solo on-screen wear silver Rolex watches off-screen!! !